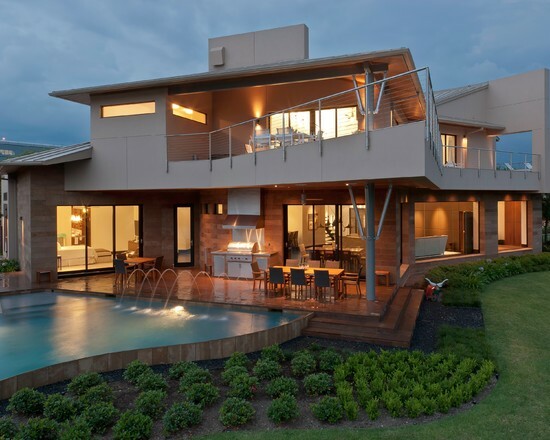 This garden house was designed by owner and architect, Shirat Mavligit. The wooden section of outer wall is actually the outer section of a central volume that creates an enlarged open space bisecting the home interior. The windows create a view corridor within the home that allows visitors to see all the way through to the back yard. Occupants of the home looking out through these windows feel as if they are sitting in the middle of a garden. 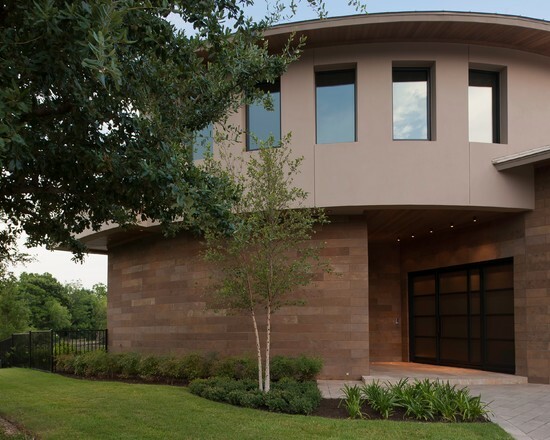 This architectural theme of volume and line of site is so powerful that it became the inspiration for the modern landscape design we developed in the front, back, and side yards of the property. We began by addressing the issue of too much open space in the front yard. It has no surrounding fence, and it faces a very busy street in Houston’s Rice Village Area. After careful study of the home façade, our team determined that the best way to set aside a large portion of private space in front of the home was to construct a landscape berm. This land art form adds a sense of dimension and psychological boundary to the scene. It is built of core 10 steel and stands 16 inches tall. This is just high enough for guests to sit on, and it provides an ideal sunbathing area for summer days. 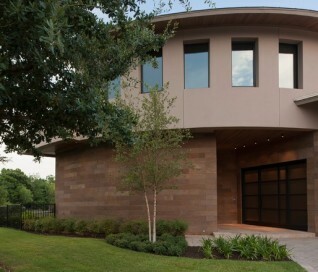 The sweeping contour of the berm offsets the rigid linearity of the home with a softer architectural detail. 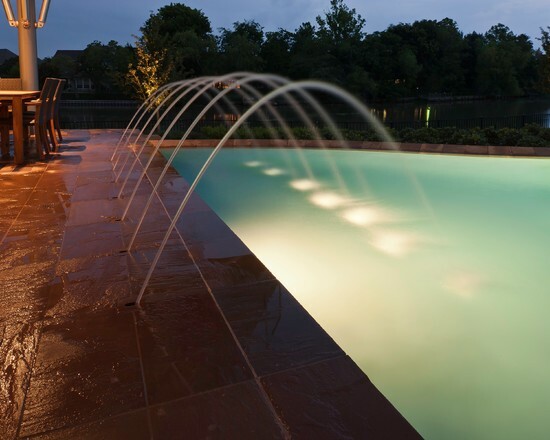 Its linear progression gives the modern landscape design a dynamic sense of movement. Moving to the back yard, we reinforced the home’s central volume and view corridor by laying a rectilinear line of gravel parallel to an equivalent section of grass. Near the corner of the house, we created a series of gravel stepping pads that lead guests from the gravel run, through the grass, and into a vegetable garden. The heavy use of gravel does several things. It communicates a sense of control by containing the vitality of the lawn within an inorganic, mathematically precise space. This feeling of contained life force is common in modern landscape design. This also adds the functional advantage of a low-maintenance space where only minimal lawn care is needed. Gravel also has its own unique aesthetic appeal. Its dark color compliments both the grass and the house, providing an ideal lead-in to the space of the vegetable garden. 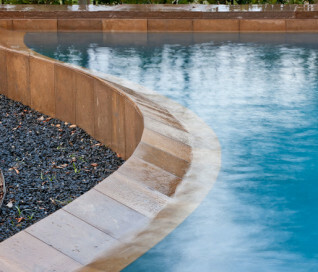 This same rectilinear geometry was applied to the side yard, but the materials were reversed to add dramatic effect. Here, the field is gravel, and the stepping pads are made from grass. Heavy gauge steel planters were set into the gravel to house separate plantings of Zoysia. The pads run from the library to the kitchen, allowing visitors to travel between the two as if they are walking on a floor decorated with grass. The lawn in all three yards is planted with Zoysia grass. 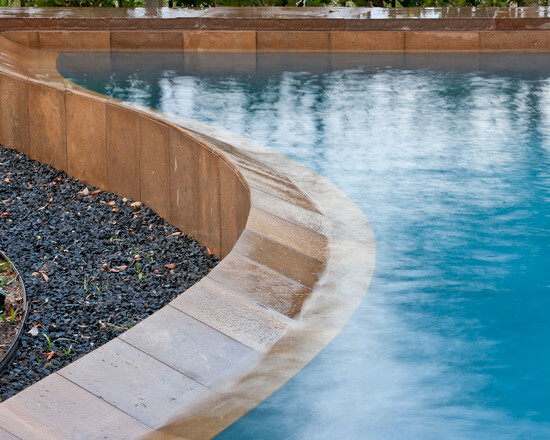 This species of grass is frequently used in modern landscape design because it requires only moderate amounts of water to retain its exceptionally fine texture. When mowed, it presents a clean, well-manicured lawn that compliments the conservatism of the home.